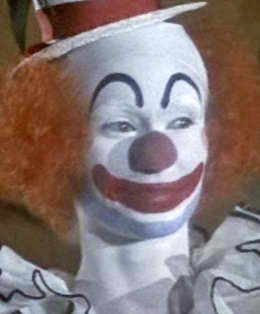 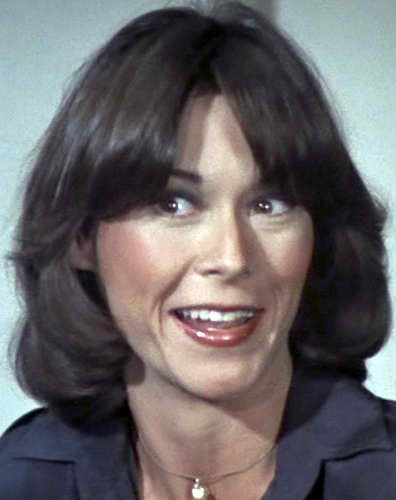 Okay so Kate Jackson’s the one who could act but hey, she could still be a clown. 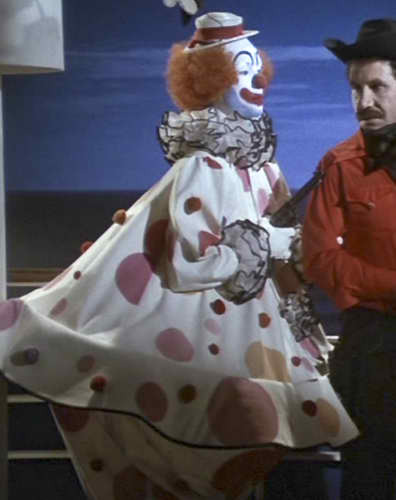 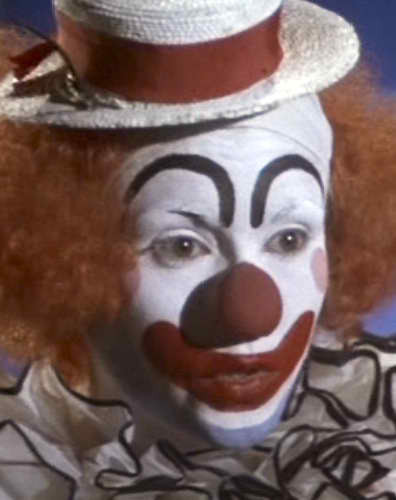 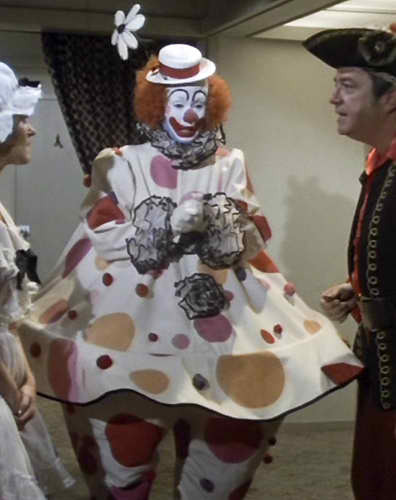 So Sabrina appeared as a fancy dress clown in ‘Angels Ahoy’ and got to wear possibly the silliest outfit in the history of Charlies Angels for chasing the bad guys – she had also appeared as a whiteface mime in an earlier episode ‘Circus of Terror’. 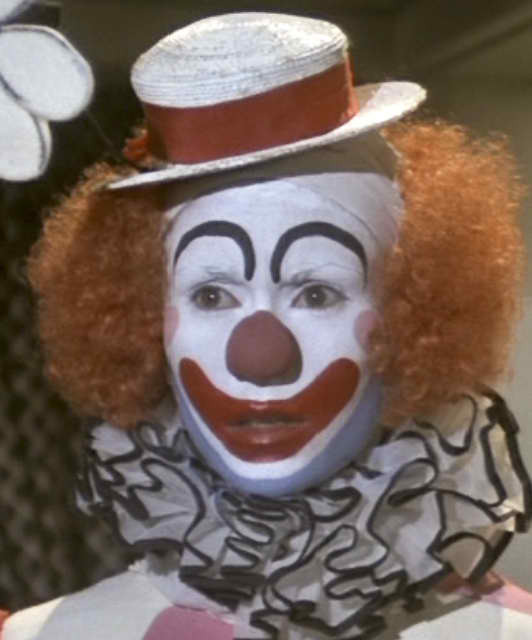 The makeup artists were Mel Berns Jr and Fred Blau. 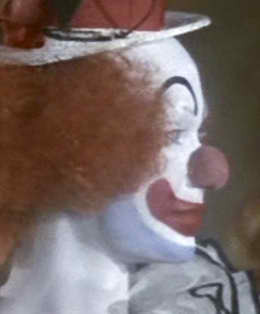 On ‘Angels Ahoy’ Mel was credited for makeup supervision and Fred for Kate’s makeup.